Are you looking for a company that offers reasonable rates to paint a room, an exterior, or help you with the finishing touches of your decorating projects – but you also want a company that uses quality materials? Low-quality materials will result in poor finishes and decor installation. Our experienced staff use high-quality paint and materials for long lasting, beautiful finishes and details that complete your decor just as you had imagined it. Having workers in your home or office can be a challenge, especially when they leave a mess. 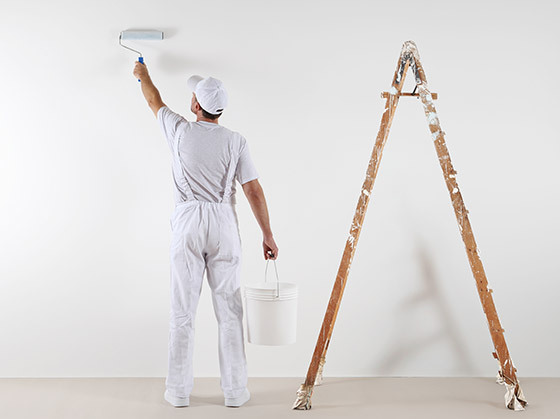 Paint should be applied neatly, and decor items should be installed with care and accuracy, with nothing left behind for you to clean up when the job is done. In addition to doing quality work in a neat and efficient manner, our staff is polite and will respect your home, life, and business during the process of finishing the job. If you have a positive experience, so will we. And finally, time is precious, and reliability ensures that the your house will be painted within the time frame you’ve been promised. If weekends suit you best, our team will plan accordingly. Our painters will arrive on time, on the appointed day, and be finished at the agreed upon schedule. We accept requests and phone calls 24/7. When you have an emergency or last minute need, we're here to help you resolve any problem on short notice. Our staff is trained to treat all of our customers with friendly professionalism. Our goal is for you to be satisfied with our work and our service. Our prices are affordable and competitive. Contact us today to find out how we can help you for a price you can afford. All our team members are fully trained and experienced, and all of our new trainees work alongside our seasoned employees to ensure our tradition of quality work continues over time.